Prelude is a compelling and dramatic tale about peak oil that will engage even those familiar with the subject. It’s also an excellent way to introduce peak oil to friends and family. Read what the experts and activists are saying about Prelude. 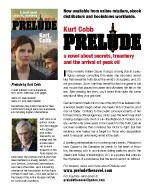 Kurt Cobb’s Prelude is that rarest of all good things—a really smart, thoughtful, enjoyable peak oil novel. The unfolding story of our energy crisis is, in many ways, the greatest story of our era, and Cobb’s fiction makes it greater, turning it into a page turner you simply can’t look away from. 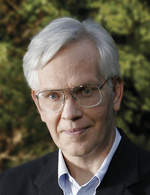 For years Kurt Cobb has written insightful commentaries about our energy predicament. Now he’s used his insider’s knowledge to craft a suspenseful portrait of a world on the edge of peak oil. Warning: After you finish this book, you will not see the world in the same way again. In a style akin to John Grisham’s, Cobb’s novel Prelude provides a fictionalized portrayal of the world of oil during the 2008 price spike. Whether you’ve heard about peak oil or not, the story succeeds twice—it is both a suspense-filled page turner and an excellent account of our oil predicament. Prelude is a great story about a serious subject. This novel is a thoroughly enjoyable way for those concerned about important environmental issues such as climate change to learn about another central challenge of our age, peak oil. Prelude conveys the peak oil problem via a story that’s both artful and compelling. Attention Hollywood: Option this novel! If you’ve been trying to explain your concerns about our energy future to friends and family who just can’t manage to slog through pages of depletion analysis, this book might prove to be your best teaching tool. Kurt Cobb treats us to a riveting suspense story in an authentic Washington setting. All the while he effortlessly slips in background about peak oil that will introduce many readers to a new, more realistic way of looking at our energy-challenged future.